I’ve always believed that where possible, it’s our duty to protect and improve the environment to the best of our abilities. Our fundamental objective at Ultraspin is to assist people in minimising their environmental footprint as best as possible and help them reduce their pollution. Out of that belief and drive to create a cleaner, safer environment was born the Ultraspin Separator and over the time we’ve been making it, we’ve realised it’s actually a really powerful and important product that can make a huge difference to the environment. We’ve been using and developing the same technology for the past 30 years, in that time I’ve made it my mission to recruit and support the best team I could that embody that same belief and passion that I hold for improving the environment we are currently caretakers of. Because so many customers work with us but never get a chance to meet us, I thought it’d be nice to take an opportunity to put some faces to the names at Ultraspin! 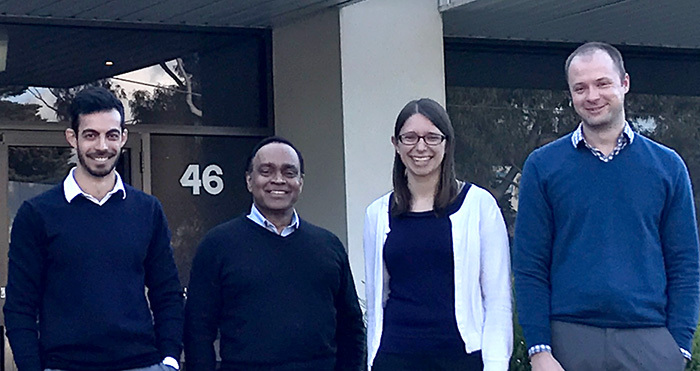 We’ve been at our current premises in Boronia in Victoria for more than 5 years and it suits us perfectly. 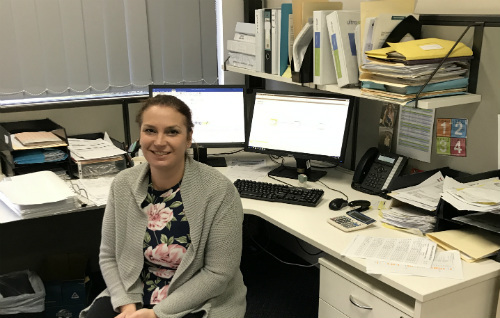 If you’d like a more personal introduction to the team in order to build a relationship, to see some equipment operating or merely to discuss a project you’re working on then please give me a call on +61 3 8841 7200 or click on my picture above to send me an email directly. I always encourage visits to our office/factory and look forward to feedback on how my team is performing. If you call the office with an enquiry, your first port of call is likely to be with someone from this team. 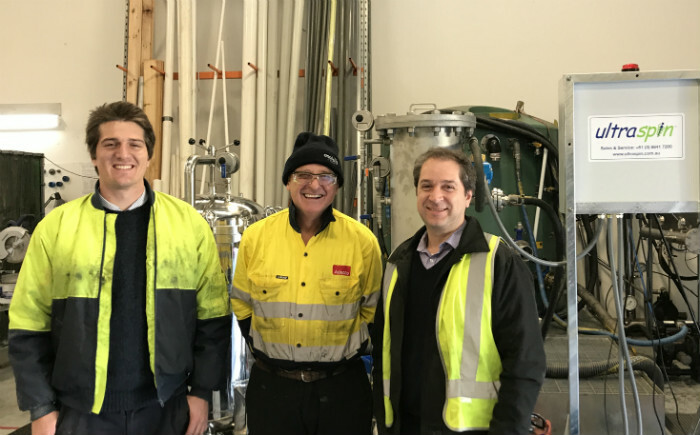 Adriano has been with Ultraspin for a little over 2 years now and his speciality is helping out customers with new, greenfield applications, especially in mining. He is often out on the road meeting with new Ultraspin customers all over Australia. Manu only started with Ultraspin a few months ago but he has years of experience working with different engineering companies. 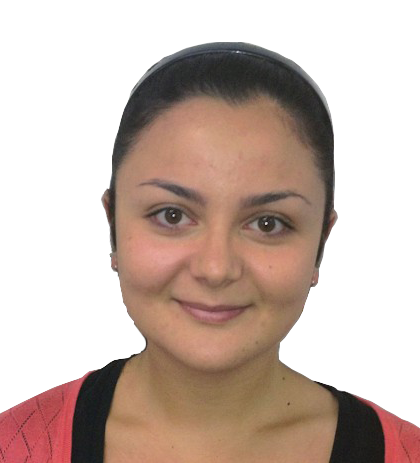 Manu looks after brownfield customers and most of our overseas customers. Melissa started at Ultraspin back in 2010 and over that time has managed a number of different departments including the service department and currently the sales team. She has a wealth of oily water experience and is our go to person for contract negotiations. Paul currently looks after the rental department in Ultraspin but also started as a Field Engineer and spent about 3.5 years helping customers with commissioning and servicing. Nicole’s been at Ultraspin for about 4 years now and is currently half way through an MBA at Melbourne Business School which means she runs rings around the rest of us in the office. 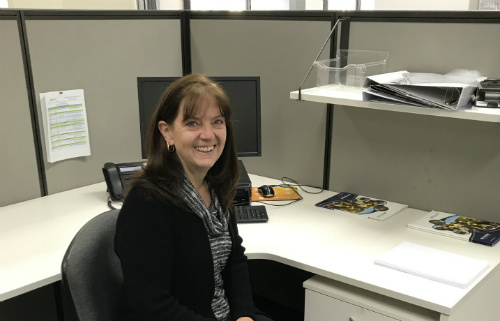 She manages the spare parts department but also has a lot of other strings to her bow, including account managing Ultraspin’s oldest distributor – Procon Environmental in South Africa. Christian has 2 years under his belt at Ultraspin and you’ll usually find him out on site in the middle of nowhere helping a customer through the commissioning process or servicing an Ultraspin unit. 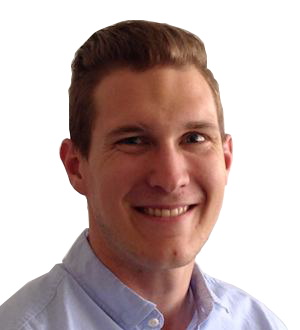 Christian’s a product expert who assists the applications team with process design and also oversees and reviews factory testing of all Ultraspin separators before they are dispatched. Ivano is the engineering manager, if you’ve placed an order with Ultraspin over the past 14 years then you will have dealt with Ivano, he’s Ultraspins longest serving employee who’s responsible for building well over 1000 systems during his time here. 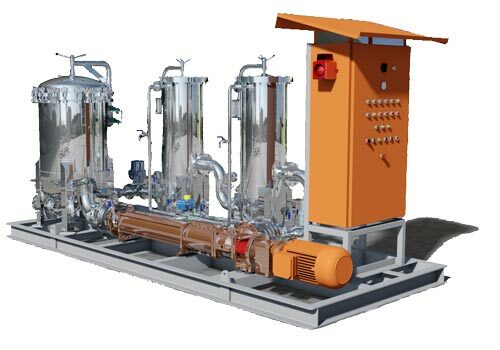 He has an unparraleled knowledge of producing oil water separators and has built great, long lasting relationships with our suppliers that we can draw on when something urgent comes up. Zac, Duncan and Kane currently round out the engineering team with Zac working jointly with Ivano on project management and also keeping the internal parts Kanban system functioning correctly. Duncan & Kane joined the team a few months back and they keep everyone in the factory working on assembly and production on their toes. Responsible for all things drafting, Lyle and Graham make up the drawing office. Between the two of them they work on all the design reviews and updates, they generate all the Process Flow Diagrams, P&ID’s and 3D General Arrangements. 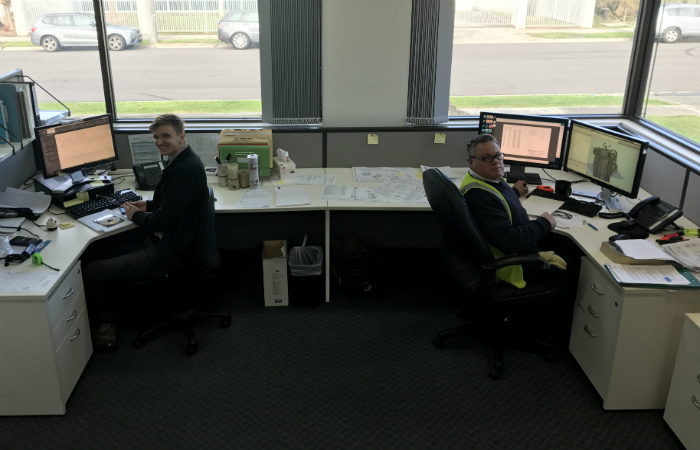 They’re able to produce anything in Inventor or AutoCAD which means 99% of Ultraspins drawing requirements are completed by these two in house. Caroline (left) has been Ultraspins Bookkeeper for a couple of months now and she’s doing a great job of making sure everything balances and we all get paid (very important!). If you’re looking to talk to our accounts department, it’s Caroline you’ll speak to. Betts (right) is the Ultraspin Administrator who’s an amazing asset to the company. She’s invaluable in getting us back on track in meetings we when get distracted by the bright, shiny lights! Want to come in and see us in person? We can show you our systems running in the factory to show you what we can do.